Get your artwork to buyers and collectors. We accept only artists who plan to SELL their work internationally and make serious money with it. If you are painting as a hobby and never plan to sell your work, this is not for you. Adding a serious book in your portfolio raises your profile in the eyes of collectors and potential buyers. Over 3500 artists can't be wrong. Your ticket to the inner circle. Having started as self-made artists without rich sponsors to back us, we know how hard it is for small artists to get their work out there. All those expensive galleries, art shows, shipping and travel costs make it almost impossible for a little talented artist to get the word out. 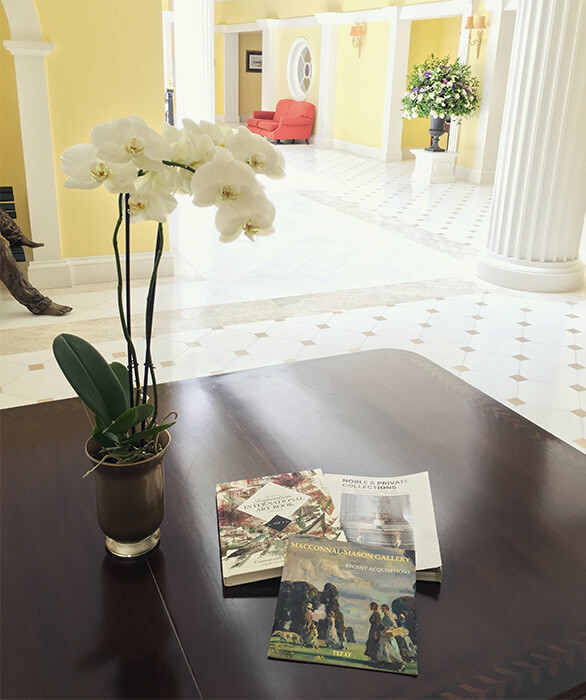 Our book is your ticket to the inner circle. It's the jump start that you need to the world of people who make a living selling their art work. Still accepting submissions! Hurry up! When we started as individual artists we were FED UP with all those expensive galleries, art shows and fairs. The only point of them was to squeeze money dry from the beginning artists. Ridiculous application fees, hassles with shipping and handling, broken frames, destroyed and lost art work... you name it, we've seen it all. What they all concentrate on is squeezing money from the artist instead of trying to help him. That's why our vision was materialistic but BOLD. We help artists to SELL their artwork. Our goal is transparent - we want to help you get exposure in order to sell your work. We are neither a charity nor we are an online gallery with its only purpose to showcase your artwork to your Mom and kids. Our mission is to get you serious international exposure and connect the artists with the buyers and collectors. That's what made our international book so successful. Each year we receive over 3500 applications from all over the world... USA, UK,Germany, Australia, France, Portugal, Spain, Canada, even Japan and China! The list goes on and on! Get Promoted at Art Expo! I am sure you know by now that the biggest Art Event of the year Art EXPO New York is taking place every year in New York at Pier 94. For thirty-eight years and counting, Art Expo has been changing the way people buy and sell art. This annual, juried expo brings the biggest publishers, galleries and collectors face to face with hundreds of established and emerging artists. In short, Art Expo is the world’s largest fine art marketplace. The great news? We are really excited to say that our Inspiration Art Book is an official media partner of the show!! Yes, the exact volume you are featured in is promoted during the show! We decided to be an official media partner of the show and present the book and our featured artists for the world to see! 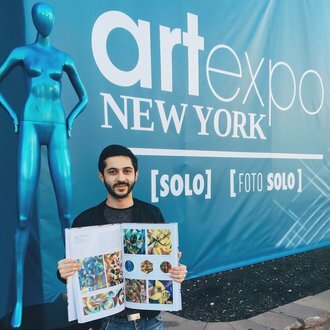 This year the New York Art Expo was a great success with hundreds of established and emerging artists and galleries presenting and selling their artwork. Our booth was located in the publication area and we had an opportunity to meet a lot of great artists and showcase the new volume of our book! I'm really glad to say that it was very well accepted and the artists were impressed by the quality of the print and the selection of the artwork inside! And if you are still not featured in the book, I urge you to get on board, get featured, get noticed and start selling your artwork like a pro! It's an outstanding opportunity to gain international exposure! We'll be glad to see you featured and meet you during the future art shows! If you are looking for free exposure without serious commitment. We only work with SERIOUS artists who plan to get maximum exposure and recognition in order to SELL their art work and make money with it. 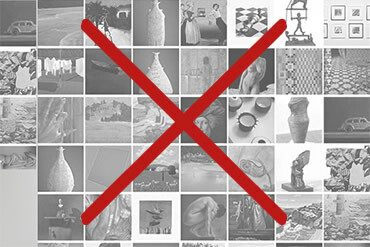 We are not the service that posts your art on free Facebook accounts or free online galleries that nobody really visits. Let's be honest with each other: free cheese never works. If you don't plan to sell your artwork and make money with it. Let's face it, when we started as self-made artists we knew how hard it is to make a living from it. The costs of paints, canvas, brushes, frames were through the roof, and it seemed like everybody was making money off it except the artist. Our mission is to change that and give the artists exposure they need in order to sell their art. If you take it lightly as a hobby, sorry, this is not for you. The world of art is not just roses, it's tough and full of competition. If you are not an original artist. We don't accept copy-cats, period. 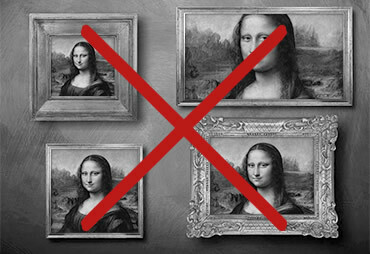 Your art must be original and our judges go to extra lengths to verify that your art is not a copy of someone else's work. We hate scammers and I hope you will help us to put an end to the copycats stealing your ideas and imagination and reselling it as their own. Get yourself noticed and sell your artwork like other artists! Many of you know how hard it is to get noticed in the world of art. Developing a style and perfecting it take years of hard work. The "Inspiration Art book" pleasantly surprised me with the quality of their book. It showcases leading contemporary world artists, from world recognized names to fresh undiscovered talents. It's a real honor to be in such a company! 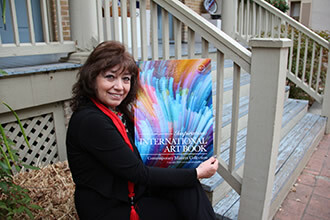 Thanks to Inspiration Art Book I was invited to an exhibition in San Antonio Gallery which had great success and helped me sell several of my paintings. Now I start receiving all kinds of offers from buyers, collectors and art dealers which already led to several promising contacts and new sales! Hi It's Nataly, I am a beginner artist and a home stay mom.. Well as you might guess I have been really struggling to get any exposure for my artwork. I simply didn't have the time and money to visit all those expensive art shows and get involved with the galleries. 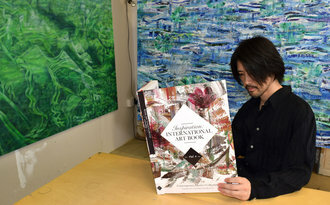 I never thought I had any chance to get my art work to the next level... Until I finally got featured in the International Art book Inspiration last year. Well it was not simple and they have strict judges to pass, but if you get accepted it really takes your art to the next level and gives you opportunity to sell your work!! Thank you guys! Planning to apply again for next year volume! I am Fay from Oregon... 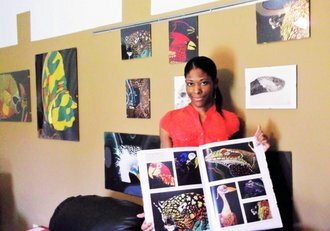 I've been a successful artist locally, I participated in a lot of local galleries and art shows but I always struggled to find international exposure for my artwork. I tried several online art resources and art shows but the competition is simply too great and it's hard if not impossible to get noticed. 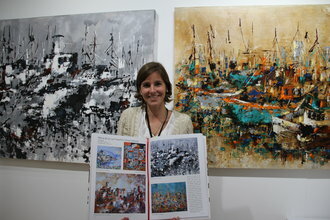 "Inspiration art book" was the key that opened the doors for me for international art buyers and collectors. I could finally start receiving the order from all over the world: UK, Germany, Canada even Australia.. The quality of print is surprisingly high, I am impressed by quality thick glossy paper they use and it looks really professional when i show it to the galleries and my colleagues. 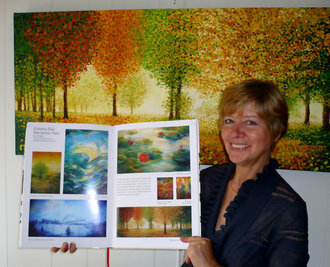 If you are trying to get noticed and start selling your artwork internationally, "Inspiration" book is a way to go guys! I'm a successful artist guys but it was not like this all the time, there were times where I really struggled.. "Inspiration Art Book" really helped me to get the initial exposure that i needed at that time! 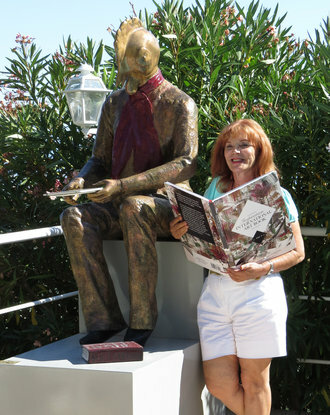 It literary opened me the doors to the art galleries and collectors! If you are struggling to get "out there" and get yourself noticed, get on board for this book, you wont regret it! Cheers! Hi guys, I am Andrea, I am doing acrylic paiting and hand made jewerly.. I live in Romania and here it is very hard for me to get any international promotions for my art... I tried to submit to online galleries, facebook, etsy... but with no results. My family did not take my work seriously as well. 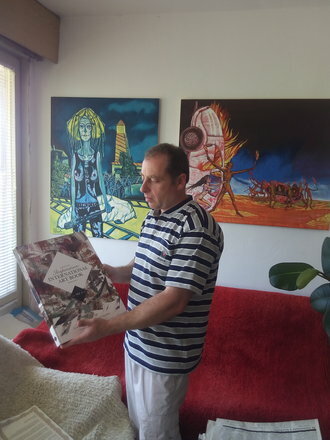 When I got featured in the "International Art book Inspiration", finally I start to received the orders and even got a call from the collectors interested in young talents.. Now I am making around 6 thousand euros per month from my art and it's a good income for my country! Thank you for this opportunity! "When I just started I'd been trying to approach numerous art shows and galleries for years with my own portfolio, but I had no results. 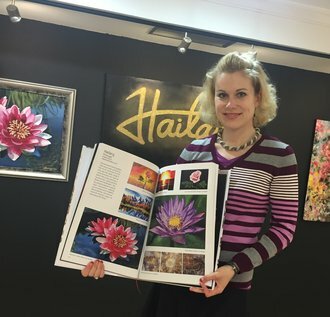 Only after I got featured in the "International Art Book: Inspiration" they started to take me seriously as a professional artist.. Now I am selling around 3-4 paintings per month and the book featuring really helped me to get it started! Thank you!" I was sceptical first but decided to give it a try anyways. Once I got featured in the book, my sales really went through the roof. Before "Inspiration art book" i was selling 1 painting per month, now 3-4 per week, and that's a just a beginning! thank you guys!" "I specialize in acrylic and oil paiting and recently started doing some abstract art as well and even mixed media! You know for many years i have been struggling trying to find buyers for my artwork. 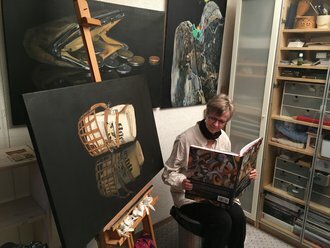 I tried facebook, art shows, i tried even reaching galleries and collectors but nobody took me seriously.. Until i decided to get a feature in the "international art book: Inspiration".. and since my work featured in the volume, I finally started to receive offers from galleries and art collectors. This book helped me get my art business to the next level and i am grateful! thank you guys!" I am an artist from Britain. 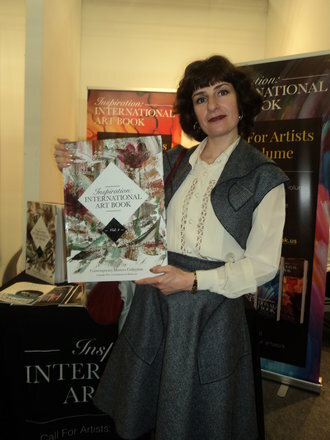 I dont really often give testimonials but "International Art book Inspiration" really helped me get started when needed to spread the word about my artwork and get the initial exposure! Now I am selling 2-3 paitings per week and planning to get featured again in the next year volume !! It's really worth it! I'm Ashwan from Deli, India.. Here I help young and experienced artists get the promotions for their art work and get international exposure! "Inspiration Art Book" is one of the most effective ways to do that. 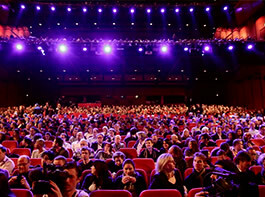 It's not easy to pass the strict jury, but if you do, you get amazing international exposure for your art work! George here.. Well.. My wife is an artist, she is too shy to give the testimonials so let me do that.. She has been trying to sell her art for years with little to none results.. You cant imagine how competitive this business is.. You wont believe how happy she was when she passed and got featured in the "Inspiration art book".. 3500 applications and only 100 pass. If you ask me, give it a try. Get your application up and if you pass, the big world opens to you! It helped my wife Sandra and I am sure it will help you! Hi guys, I am Huang, a digital artist from Hong Kong.. You know, I became quite popular in Asian market but I have been really struggling getting any exposure for my artwork in Europe and Nothern America.. "Inspiration: International Art Book" helped me just that! I finally got key connections and recognition as a digital art professional and was invited to organize my first private gallery in London this year!! Thank you for opening doors for me! You know art is my life! Since childhood I've been painting for fun as a hobby and I never believed I could turn it into a business. "Inspiration art book" helped me get my art to the next level, it helped me believe in myself and this year I can finally proudly say I started to make a living doing what I love.. Painting! Your book played a big part of my success, thank you! 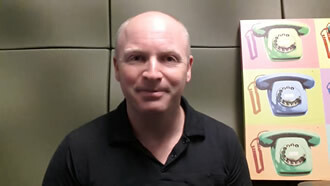 Paul here from Australia... Well all I can say is that "Inspiration Art book" works! 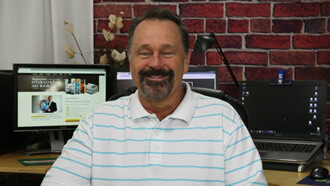 It really helped me get solid connections in the art world to set my promotions and sales in Europe and United States! Get featured guys, it works! ...I know from personal experience how hard it is for young artists get out there, get noticed, get started selling their art work... If you ask me, "Inspiration Art book" is the way to go.. Get featured, get noticed my friends and have a great long successful carreer in art! 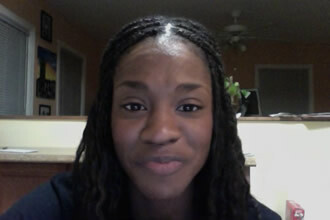 hi guys, I am Tiffany... I am a beginner artist and "Inspiration Art Book" helped me open doors to the big world. I still cant believe how lucky I am to get featured, they have over 3500 applications per year and it was not easy...But if you are IN, the doors to the big world of art are opening to you! Now I am overwhelmed with response, I don't even have time to answer all emails I get from the potential buyers and insterested followers! Thank you so much for this opportunity! ..You know guys, as a private art collector I am always on a lookout for a fresh talent and cutting edge trends and this "Inspiration art book" is one of those places where I look first. 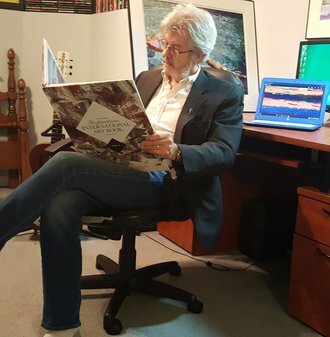 Every year I am one of the first to get a copy of the book before the rest of the world to make sure I don't miss an opportunity to get in touch with the undiscovered talented artists. So if you an artist who is just starting out and looking to sell your artwork or an already established name and searching for potential contacts and want to make a serious impression on the collectors and galleries, trust me, you really must be in the book like this.. It's Jimmy from LA.. You know guys.. The "Inspiration" book really exceeded my expectations. Quality print, solid paper; it looks very professional and perfect. But most importantly, since my work featured in the volume, I started to receive offers from galleries and art collectors. Now I get more offers than I can physically fulfill. I think it's time for me to expand the art shop and hire some help! 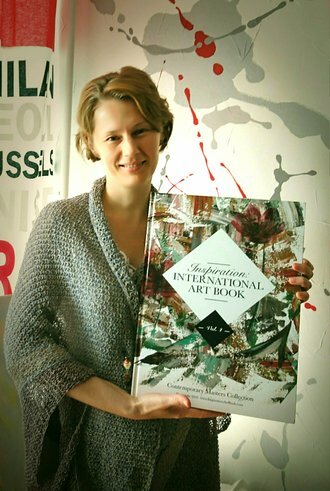 Ivana Masic is an artist educator who lives in New York. She is a multi-dimensional artist who works in a variety of media such as painting, drawing, music, film and literary production. 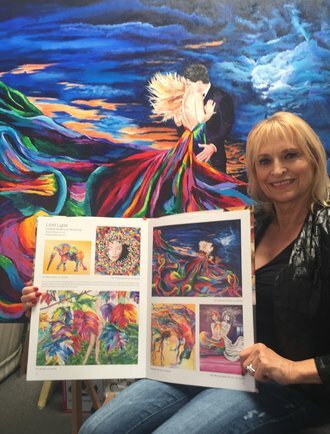 Her colorful and enlightening art has been exhibited and installed internationally and published in over forty books as she enjoys collaborating worldwide. She is also involved in a variety of artful humanitarian projects as she believes in the positive power and voice of the arts. 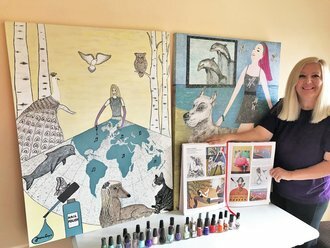 Ivana Masic continuously expresses herself and she honestly establishes a focus and vision of experiences of her heart and believes that art educates, heals and spreads harmonic energy worldwide. Cubism with a Twist. Art without boundaries with a full flip of imagination,no color restriction, no subject restriction, combination of futuristic vision and fantasy into a virtual reality. I love art because it does not have any borders and it speaks to all. A fascination with geometric shapes and color has always been at the core of my work. Gradient coloring and manipulating shapes is ever-present throughout my portfolio. Cubism and Italian Futurism are genres that inspire my work. 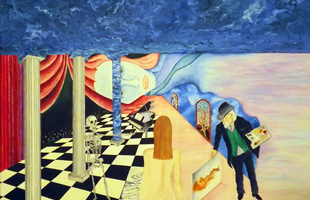 A hybrid form of Futuristic-Cubism comes out in my paintings. It creates a unique dynamic. I paint when I feel inspired, that is why each of my paintings have spots of good and bad feeling. My paintings transform a lot during the process. Alex is primarily a watercolorist. Influences and inspirations include such classic master artists as J.M.W. Turner, Andrew Wyeth, John Singer Sargent, Whistler, Homer, and more. Contemporary masters who are much admired include Thomas Schaller, Roger Whitlock, John Lovett, Joseph Zbukvic, and others. Alex was born in New York City but grew up in DC. She was a research scientist (mathematician, actually) for over 40 years (specializing in Ocean Acoustics from 1980 until 2012). 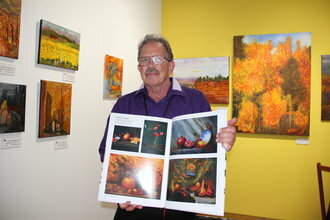 Alex is an award winning watercolorist and a member of the McLean Project of the Arts (MPA), the Art League of Alexandria, the Maryland Federation of Art Society (MFA), the Yellow Barn Studio, the McLean Art Society (MAS), the Washington Project for the Arts (WPA), and the American Watercolor Society (AWS). She is married to photographer Ron Colbroth. Her work is in private collections and has been or will be seen at the Foundry Gallery (DC), the Torpedo Factory (Alexandria, VA), the Circle Gallery (Annapolis, MD), NYC, CA, Scotland, and elsewhere. She has had numerous solo shows in the DC area. Case Study "María Camila Experience"
You know, art is and always has been my life. When I was a child, I dreamed of becoming a professional artist. However, getting from the dream to the reality is always the problem, isn't it? The road to success was certainly not an easy one for me-and I suspect that it's a difficult journey for any but the most fortunate of us. First, there's the honing of one's art. Working on basic skills until they become second nature. Finding a medium. Developing a style and then perfecting it through years and years of hard work. There is no substitute for these years of effort, and they rarely provide much in the way of financial reward. But what about after that period-when your art is good, but your market hasn't grown with it? Most, if not all, of you know just how hard it is to get noticed in the art world. 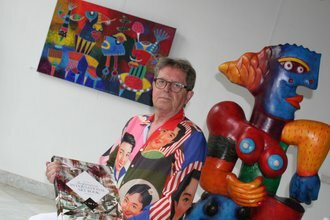 There are so many artists around the world, clamouring for the attention of a relative few big collectors and art galleries that can make or break them as an artist. The Inspiration Art book pleasantly surprised me; not just with the quality of the book itself, but with the quality of the artwork in it. 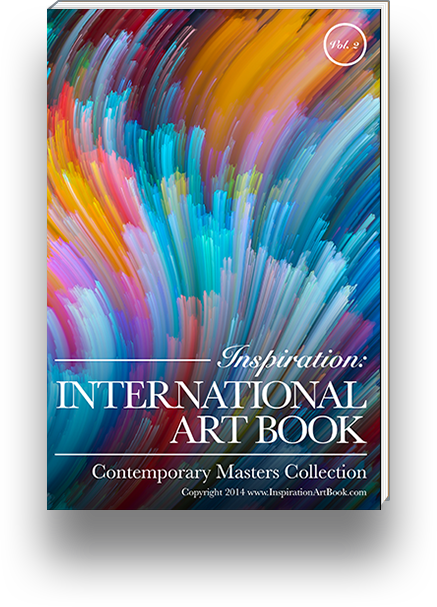 The book showcases leading contemporary world artists, from names recognized around the world to fresh, undiscovered talents. It's a real honor to be in such a company! But for me however, that's not the most important thing: results matter the most to me. 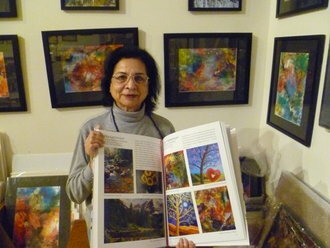 Thanks to the Inspiration Art book, I was invited to an exhibition in San Antonio Gallery. 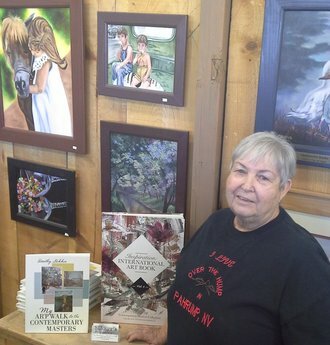 It was a great success and helped me sell several of my paintings. Now I'm receiving all kinds of offers from buyers, collectors and art dealers. That's already led to several promising contacts and new sales! I'm grateful and I wish all the artists a successful and fulfilling career! Over 3500 international artists. Cutting edge fresh styles, noteworthy young and experienced artists. Discover new talent and reach artists directly for purchase of the artwork and commissions! Juried art book: only top high quality artists are accepted. 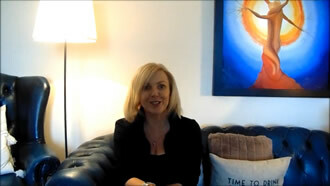 Watch this quick video "How to Reach Art Buyers and Collectors?" how you can become a successful artist and boost your sales! How to go viral and get a massive international exposure? How to find art buyers and collectors? How To Succeed and Sell Your Art Like A Pro? Put your gallery on the "map". Our list consists of close to 2,000 private art collectors from around the world. Get noticed! As a artiste of reflections on human feeling, Pari Ravan says: "we hold ourselves for much too important. The universe is just much too big for thath"
I paint from inspiration found in my inner world, my dreams and visions. Depends on my mood and what is going on inside me at the time,I paint in a wide range of styles, from realism, to impressionism to abstract. My Passion is painting with nail polish. Besides using nail polish, I use acrylic, oil, and do photography. 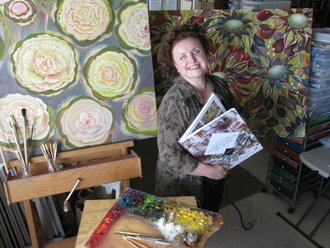 Marina Gershman works in the unique medium of fabric collage. She uses different textures, thicknesses and qualities of fabrics to achieve a three-dimensional quality in her works, and her use of various colors, tones and shades grant them a painterly appearance. Creating fabric fashion dolls is Marina's other passion. 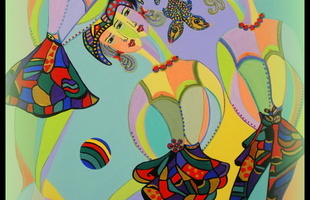 My current works consist of large paintings, 5’ x 4’, but still keeping my unique technique of brilliant color combinations that present a kaleidoscopic collision of art and life. My goal is to dazzle the eye and lift the soul using a contrast between my bright colors and a world of untold drama, drawing you into stories from my dreams. Deep and complete knowledge of my profession are proven by long years during which I was learning and improving myself as a professional. My creative work is first of all characterized by many exhibitions, publications and positive feedback from students, colleagues and art critics.The basis of everything still remains academic professionalism. Even it is not a leading value in the arts currently – good master of his handcraft should combine talent and professionalism. It is definitely an advantage and provides additional quality to the work results. For me painting is something to look forward to. 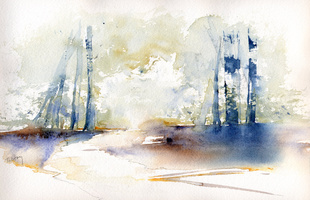 I especially love plein air painting. There is nothing better than going out to paint on a nice day. By the time my easel is set up everything comes to life. You can hear the leaves rustling in the trees, you can hear insects and birds, and my intense focus on the subject I am trying to portray seems to amplify the beauty of my surroundings even more.I have always loved art, but my motivation to paint as much as I can began in November 2009, the first time I took my pastels with me on a holiday. I spent three weeks along the Great Ocean Road. The weather was perfect, and by chance I managed to do a weekend workshop at the Anglesea Artist's Society (Victoria, Australia) with the famous pastel painter Maxwell Wilks. A real bonus!I only paint with pastel. The colors are so vibrant. I mostly paint landscapes and farm scenes. 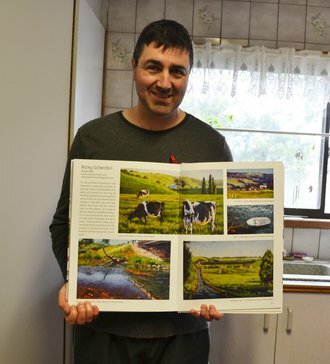 Putting cattle or sheep into a landscape brings a painting to life. My ambition is to travel and paint. First Australia and then the world. I love to paint! 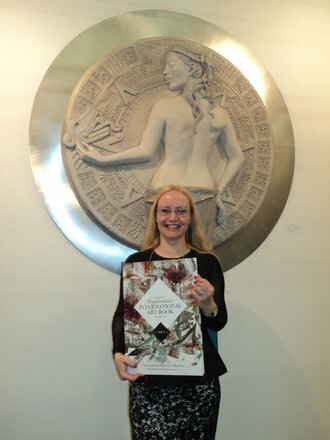 Denisa specializes in the creation of large relief sculptures combining classical and contemporary materials and techniques. Large and imposing while poetic and feminine, Denisa's art is intended to be spiritually healing and powerful in its symbolic intension. Using clay as the canvas on which she communicates, the artist offers us imagery that is vibrant with mystical and historical elements. She puts forward an iconography that is timeless and strongly feminine, while rich in technique and intention. Through her work, she offers a very personal look into the necessity to contrast past with present, personal with universal, reality with dream state. 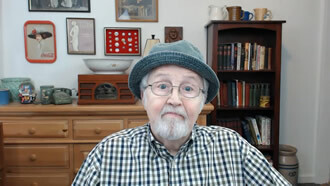 Albert Russo who has published worldwide over 85 books of poetry, fiction and photography, in both English and French, his two mother tongues (Italian being his 'paternal' tongue; he also speaks Spanish and German and still has notions of Swahili), is the recipient of many awards, such as The New York Poetry Forum and Amelia (CA) Awards, The American Society of Writers Fiction Award, The British Diversity Short Story Award, The AZsacra international Poetry Award (Taj Mahal Review - US$ 500), the Books & Authors Award, several Writer’s Digest poetry and fiction Awards (winner and finalist), aquillrelle Awards, the Prix Colette and the Prix de la Liberté, among others. 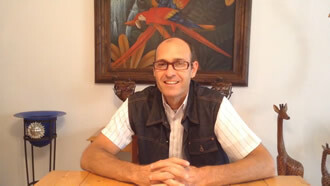 His work has been translated into a dozen languages in 25 countries, on the five continents. Albert Russo was also a member of the 1996 jury for the Neustadt International Prize for Literature which often leads to the Nobel Prize of Literature. Latest Prize: Best 2013 Unicef Short Story award in defense of childhood worldwide, entitled: Revenge by proxy / Vengeance par procuration. 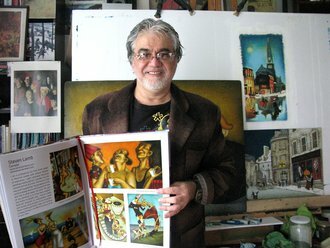 Besides writing novels in English and in French, with work translated into a dozen languages, Albert Russo has garnered several prizes for his photography books, Indie Excellence Awards (both winner and finalist), The London Book Festival awards (finalist), The Gallery Photografica awards (silver medal), among others. Some of his photos have been exhibited at the Louvre Museum, in Paris, in Times Square, NYC, as well as at the Museum of Photography in Lausanne, Switzerland. Now, he is exhibiting at the Espace Pierre Cardin, in Paris, his work AIR DE MONTMARTRE, as well as photos on canvas. The Mayor of the Big Apple has lauded his two photobooks on Paris and New York. Some of his novels and memoirs have also been filmed in English, with videos 90 and 100 minutes long. With a feeling for contracts, he transforms daily themes into bold and different but pleasantly accessible images. Colorful, with obvious Latin American influences. With a lack of respect for the academic straightjacket of perspective. Briels is a sculptor and painter. He creates glass sculptures and design furniture, and his signature is and will always be a cheerful and optimistic outlook on life. 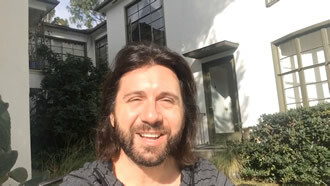 Good day, Let me take you on a journey of energy and creation.The most important feature in my work is the energy flowing, I feel it and I convey it in my work. As art is creative, it is good to concentrate on a positive energy thus expand it. My motto is 'Let's paint a better world'. Be positive, be creative, and share it. I think that absolute freedom in art is no more than a mirage. Like a vanishing point, not only it is not achievable, but also constant strive for being totally uninhibited fundamentally contradicts the very nature of art. I discovered that by trying to free myself I instead only created un-freedom within, but at the same time I recognized it as a blessing because this un-freedom, to my great surprise, flowered into my very own freedom. I built my personal space inside it, I fenced in all I was made of and then I gladly confined myself into this space and opened all the windows to share what’s inside with others.This is the moment of great joy for me because this space has never existed before I have created it. Not unlike theater, my work attempts to counterpart outside reality with no ambition to compete with it. It is just a window into my parallel world, my very own, not so little Universe. People fascinate me, and in my art I strive to portray the personality traits that make human beings so uniquely engaging; my little grandson searching his mother's face for reassurance, for guidance, and with the expectancy of another "do it together" experience; the instant rapport and sense of camaraderie between farmers from opposite sides of the world meeting for the first time. The paintbrush is often mightier than the pen! "Hi, my name is Hailary. I found a love of drawing when I was only 6 years old and my love of art continues to this very day! My styles range in many directions, but I have to admit that acrylic painting is my favourite. I enjoy painting flowers and landscapes. One day while I was looking for a new direction, I decided on trying one more style. The style I chose is actually a combination of paint and crystals such as the Swarovski crystals and was thoroughly amazed at the end result. " Hailary has participated in several major international galleries and art shows such as Galeria Aberta Galleries, Vera International Art Festival, Lisbon, LA International Art Show. Astrid Baenziger is born in Appenzell, Switzerland in 1965. 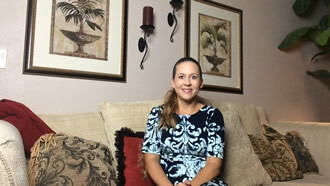 She is a trained certified technical operation assistant and trained qualified social worker. 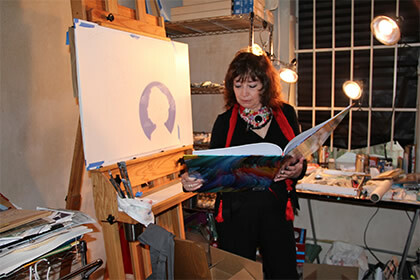 In addition to these professional challenges she has worked as an artist for number of years. 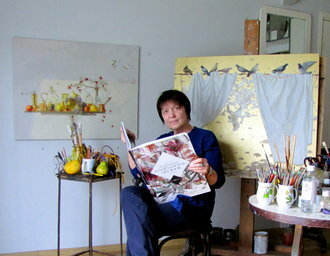 starting with drawing comics, she has expanded widely to an intensive examination of various techniques of acrylic painting and collage technique. 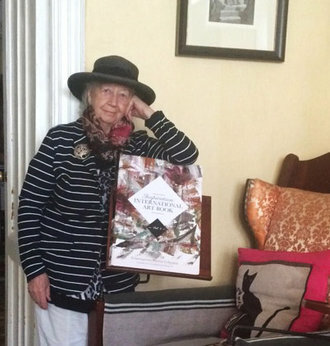 Colourful flowergardens, nature themes, poems written on paintings, clothelines, the fragility of human being etc. are her frontrunners. 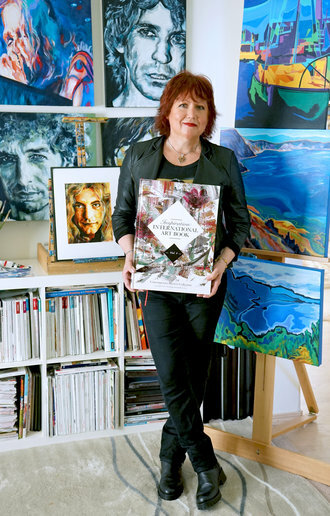 For some years now, she has shown her works of art in various individual and collective exhibitions. The last exhibition at the ART BIENNALE in Florence Italy, brings her now in an international show. Astrid Baenziger is an autodidact. She lives with her family in Berne, Switzerland. Statement: "my images are designed through their colours and their representations to conjure happiness, to elicit a smile in the beholder, and are now and then seen with a wink! The artworks are life, devotion and joy of life." 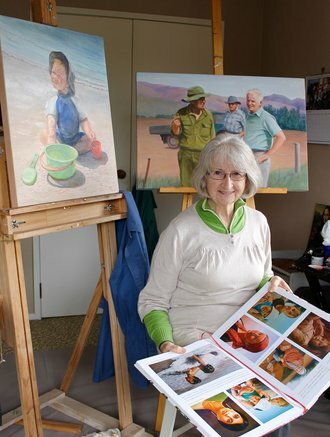 Dorothy uses a soft orange canvas and presets the image in black acrylic in my under-painting. Using the black helps me set the shadows, and it helps with the depth perception that I am trying to grasp. I mix my own colors to create a much softer tone to the piece. My work is a combination of scenery, animals and people. I enjoy painting the events of life in the 21st century. I love to make people smile with my art, to communicate with them directly and inject a feeling of joy into their day. I get a lot of ideas from watching my children and grandchildren just living and enjoying their lives- this is a message I want to share with my audience. My paintings tell stories by focusing on what is important in life-- social, political and personal issues that affect us all. I portray objects that symbolize these issues, combined in purposeful ways, often against black backgrounds in order to focus complete attention on them, as if illuminated by spotlight. Even though certain subject matters and the circumstances or situations they represent may be difficult for some to contemplate, I seek the beauty within them regardless. 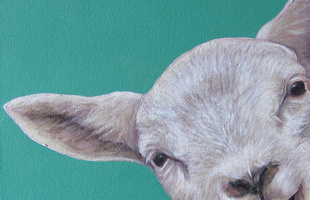 By painting portraits of common things, I remove all connotations that may relate to specific people, places or times. It is the universality of these symbols and what they represent that is significant-- to all of us, no matter who we are. At the same time, I paint in such a way that these compositions can be taken entirely at face value and appreciated on purely aesthetic terms, as classic representational still-life’s, without the necessity of referencing anything beyond that. But the invitation is always extended to explore as deeply and thoughtfully as one might wish. Sparkling like a birthday cake, my artworks are instantly appreciated for their chromatic arrangements of sweet subjects combined with serious motifs, creating an instantly recognizable synergy of cool elegance and soft sensuality. 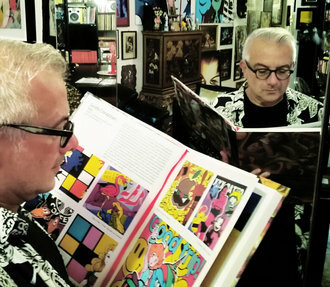 The paintings are strongly influenced by the fantastic world of cartoons, pop culture, rock music, and worldwide media, all contributing to a unique aesthetic creation. It’s as if fifty years of world history has been squeezed into one frame; as if time and space had collapsed like an over stuffed hard-drive, the electronic bugs now in charge of it's fractured state. With bold colors, cartoon styling, strident collage and ghoulish rendering of the sacred and profane, these pictures are made to grab your attention and create pure joy for the eyes. 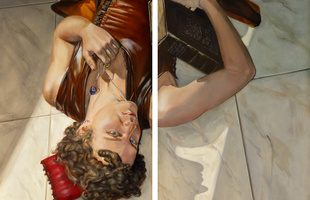 The paintings are multilayered, both visually and conceptually. You are first overcome by the colors: glossy, shinning, and brilliant, after you discover the real matter, the sense. The working process emploies a “ready-made” method. All pictures are grabbed by Internet, “surfing” on the Net. Working with realistic as well as re-invented images, the paintings play with balance and dynamics, coupling and contrasting opposites such as the real versus the fantastic or our positive and negative associations of an image, which both confirm and contradict their relative natures. However, my work chooses, arranges, matchs, adds and stratifies with the objective of making us to think and, hopefully finding some answers, while having fun. Art is a spiritual language I use to communicate with people, no matter what language they speak. My work is about reaching every single heart by touching the deepest sanctuaries of the human soul. 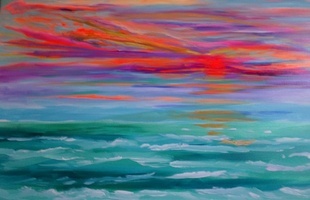 I invite viewers of my paintings to feel a higher awareness of light and reality. I started in 2012 with my first photoshoots at the models' home and I still do. This means that I always take my portable homestudio with me. It also means that because of the different sized rooms, I need to set up my lighting. That's one part of the creative process for setting the mood of the image. The second part of the process is creating the image(s) in collaboration with both the model and - if involved - the make-up artist; this already starts before the actual photoshoot. An image is in my opinion the sum of these three parts and every part is important. I'd like to raise the bars everytime. Most important to me is to get connected with the main subject via the eyes as they are the mirror of the soul. In the postproduction the third and last part of the creative process takes place. Being a perfectionist this can take up to eight hours or more for one single image. I always develop the negative (RAW) image to get the best out of the photo. Beside that there's also a great part of retouching involved without losing the characteristics of the model. After that comes the real creative flow by colortoning the image and/or adding textures to the background to deliver the image as I imagined it in my head. I've always loved art, music and dance. When I capture joyful and moving moments of life in my pictures, I mix the shining colors for my art according to these moments. 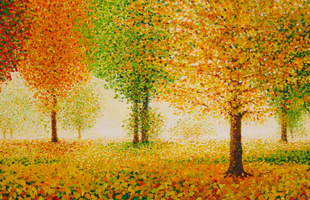 For me there is a parallel between the harmony of colors and harmony of musical intervals. Both have the power to stir strong feelings in us. Both color and music sweep the dust from our soul and make us come alive. I have been described as multifaceted, having a rewarding career in the arts. 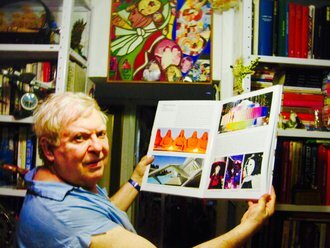 That being true, however my main accomplishments have been in Visual Art, with a long time devoted to painting and printmaking. The endeavours in my designing has complimented and inspired my focus as an artist. 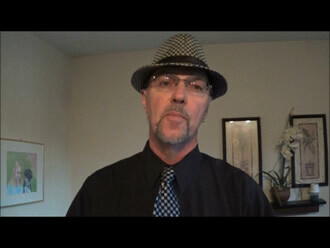 I have been fortunate to have been an art advisor for our Ontario, Canada Arts Council. 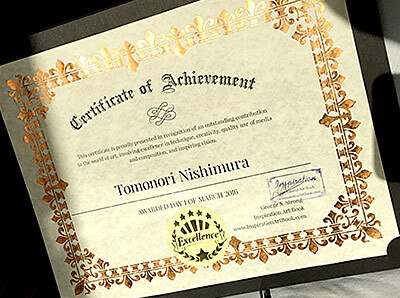 I have received awards in painting, photography and for designing. My limited edition prints are in private and corporate collections, worldwide, and I have been commissioned to create art prints for special events and causes, often for the purpose of fundraising. My University degrees are in art and art history. I have retired a bit early from University/College art instructing to pursue more world travels. I have visited 5 continents already, but now have much more time to photograph, already motivated to author a fourth book. Travel is not just about a place, but new ways of perceiving, influenced by other cultures. I am still challenging the limits of printmaking using my computer, creating digital artworks, often producing only one unique print. 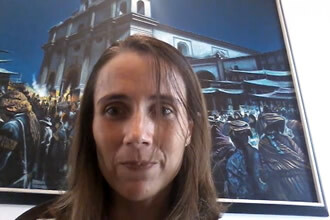 At this time travel brings me to International solo and group art exhibitions, being ongoing, represented in new places in the Caribbean, Europe and more U.S. cities. My art has evolved exploring more abstract style, still a fusion, with elements of recognized figures within. 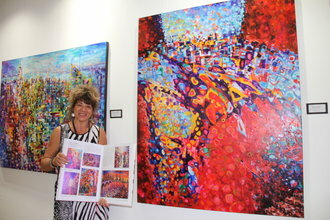 My art has remained bold and colourful, with perhaps more patterns and textural features, still being expressive. I continue to challenge the limits of my art process. My love of creativity is shaped by the fact that learning never stops, as artistic possibilities are endless. I was born in Leningrad, USSR (now Sankt Petersburg, Russia). Graduated from Moscow State University with a degree in International Economics. I have also attended the art studios at Moscow State University and the Moscow House of Scientists. After 1989 painting became my main professional occupation. Since then I have had no fewer than fifteen personal exhibitions. My art vision is for collectors and non-collectors to see how combining many shapes form a unique outlook on how you see animals. Drawing and Painting those many shapes to create that fur or feathers and by using different sizes, colors to help with that decision. To make each piece jump out in excitement! My perception of the world is always from a comical point of view. Spending a considerable part of my life in different countries and absorbing various cultures and historical backgrounds, I have reached the conclusion that what matters the most,is the human ability to laugh. I use a grotesque as a tool of social commentary, not to criticize, but to amuse and entertain. I'm also blending humour with serious things in an effort to translate daily life in to magic and fantasy . By combining all possible media I am creating my own world. 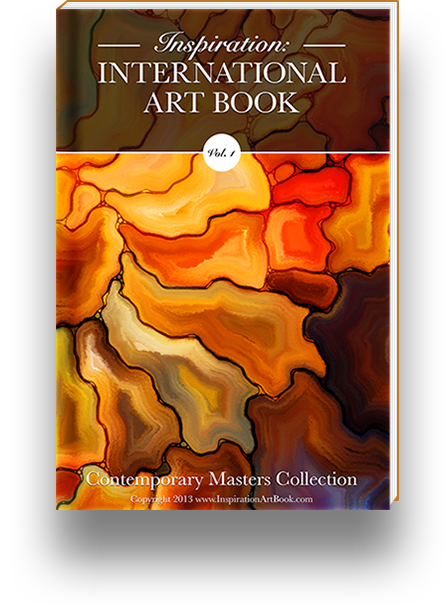 Our "Inspiration Art Book Awards” mark a new step in an artist’s career and demonstrate his or her achievement in the word of art. 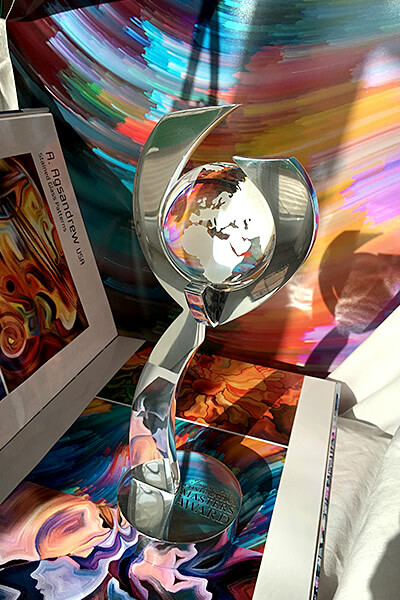 The awards are proudly presented in recognition of the artist's outstanding contribution to the world of art, involving his or her excellence in technique, creativity, quality use of media and composition, and inspiring vision. 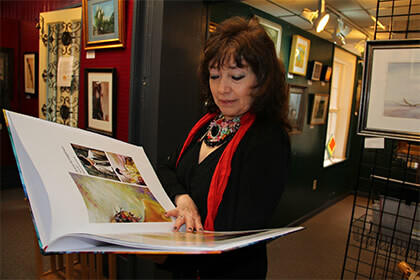 The gallery features the works that you submitted for the book, with an easy way for potential buyers to contact you! This is a great promotional vehicle for you, so use it to your best advantage. 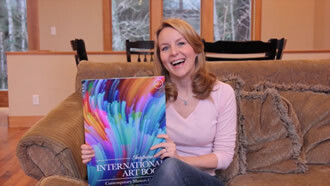 Having a link to a reputable art book is a great way to showcase your work online to potential buyers. And the best part is that this is a “forever free” bonus for you; we don’t charge any monthly fees or take commissions from your sales! We simply want to help you promote your work because you are our featured artist! The gallery also showcases your avatar, interview (if you requested it) and provides information about the art vision/statement that you gave us. A word by George S.
You know guys, when I was starting out as an individual artist 40 years ago with no money and no connections in the art world, I was struggling for years trying to get 'out there', to get noticed and get my artwork sold... but in vain. Let's face it, being an artist is not just a bed of roses and a "higher calling of inspiration". It's a tough and competitive business, and if we're really honest with each other, all of us are in it to become famous and make money by selling our artwork. 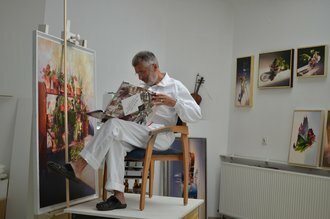 Isn't it great to make a living by doing what you love and do best: painting? For the most artists, though, this dream never turns into reality. For years I was trying to get out there, into the "inner circle" of those magical high end artists who make millions selling their art. And those news of another person with record breaking sales numbers did not make me sleep any easier. Paul Gauguin's art was sold for a staggering 300 million , Pablo Picasso's for 180 million , Jackson Pollock's for 163 million ... and that famous "The Scream" - you know, for 123 million . But the truth is, I was nowhere near that. We're certainly not talking millions - the truth is, I couldn't sell one damn painting in years of trying! I know most of you are in the same boat now. There was nobody to give me a hand, no way to get my name out there. I tried and tried and tried and finally I was really FED UP with all those expensive galleries, art shows and fairs. The only point of them was to squeeze money from the beginning artists. Ridiculous application fees, hassles with shipping and handling, broken frames, destroyed and lost art work... you name it, I've seen it all. What they all concentrate on is getting money from the artist instead of trying to help him. 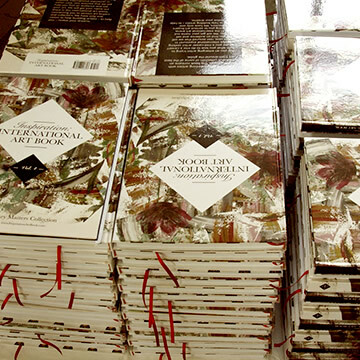 That's how the idea of creating Inspiration: International Art Book was born 7 years ago. Starting with a small book of just 30 featured artists, we quickly gained world recognition as an international brand and became an industry standard, a vehicle for emerging and mid-career artists to quickly get their name and artwork out to the world. We receive over 3,500 applications from artists, distribute 45,000 books to galleries around the world, and send out 1,750 books to world-class collectors... every single year. Oh boy, this book is gaining so much momentum! And today, you can be a part of this success story! 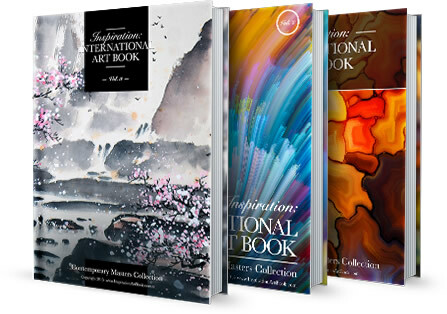 Inspiration: International Art Book is your JUMP start into the world of art! That's why our vision is materialistic but BOLD. We help artists to SELL their artwork. Our goal is transparent - we want to help you get exposure in order to sell your work. We are neither a charity nor we are an online gallery with its only purpose to showcase your artwork to your Mom and friends. Our mission is to get you serious international exposure and connect the artists with the buyers and collectors. That's what has made our international book so successful. Each year we receive over 3,500 applications from all over the world: USA, UK, Germany, Australia, France, Portugal, Spain, Canada, even Japan and China! The list goes on and on! 1. 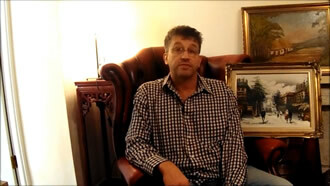 Get your artwork to buyers and collectors. Adding a serious book to your portfolio raises your profile in the eyes of collectors and potential buyers. Over 3,500 artists a year can't be wrong! This is not some kind of cheap monthly magazine. This is a full print, hard cover, high quality book that you can be proud of being in. Presenting such book in your gallery or workshop instantly changes perceptions of you, showing that you are a professional artists rather than a hobbyist. This book is your ticket to the inner circle. It's the jump start that you need into the world of people who make a living selling their art work. 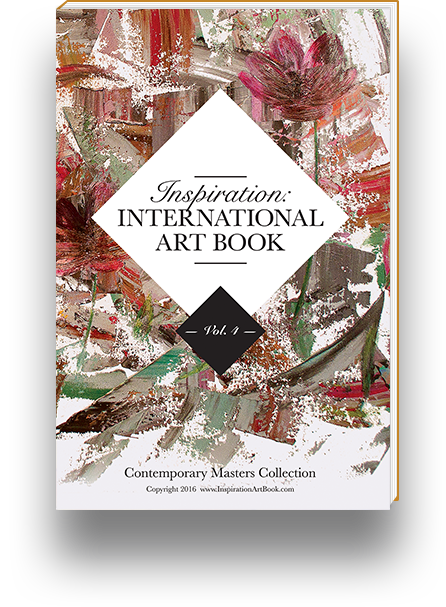 Over the years "Inspiration" has become a handbook for every professional collector looking for fresh new names in the world of art. They are looking for you! You just need to help them find you! It's time for you to take action now and become a part of our next volume! Each year we publish only a single volume, and with over 3,500 applications and strict judges, we might not even be able to accept your application. As I said, this is only for serious artists who want to jump start their career in order to sell their art work in future! If you are one of them, you are welcome to apply! And if you get featured in the next book, you will also participate in our top featured artists' annual contest with awesome cash prizes and honorable mentions - as well as being featured with the high-end private collectors' groups! Get your application up right now, get noticed, get out there and start making money by doing what you love... painting! 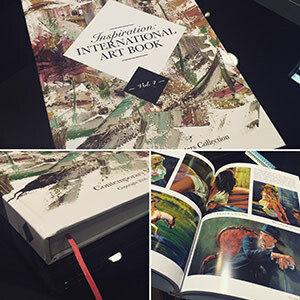 3 Steps how to get on board for the next volume of "Inspiration: International Art Book"
carefully and personally selected by our jury, to present their work in the book. We have all kinds of packages from beginners (who want to get started and get the word out cost-effectively) to advanced artists who want to get maximum profit out of it - and maximum exposure! 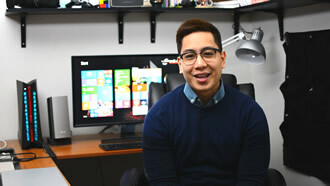 Simply photograph your work in 300dpi or more and submit to the manager. No physical shipping is required. Remember, our mission is to help you SELL your art - so make sure each painting you submit is ready for sale and includes the name, description, dimensions, style, medium and most importantly, PRICE! 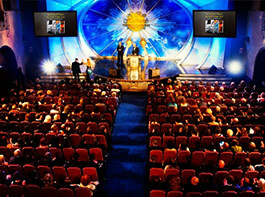 We take this very seriously and hand-pick only the top 100 qualified artists each year. Our strict judges make sure that only quality, qualified artists will join the book. If you did not qualify, no problem - please don't take it personally and simply try next year for the next volume, as we have over 3500 applications each year and can only accept 100 of them. That's it! You are IN THE BOOK! 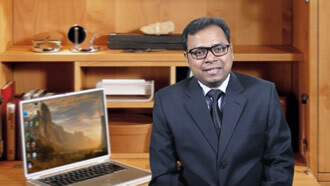 Get maximum exposure and SELL your work! 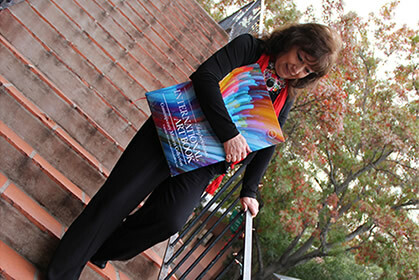 The book helped to launch the careers of countless emerging and mid-career artists! Once the book is printed, you will get your personal copy FREE (including FREE shipping internationally) and the rest of the books will be distributed to international galleries and libraries, selected art collectors and also digitally distributed on Amazon and other online mediums! And if you enroll into the maximum exposure package you will be able to also exhibit your artwork for 3 months in one of our international galleries for free! Call For Artists: Get On Board! LIVE! Still Accepting Submissions For "Contemporary Masters" and "Inspiration 2018 and 2019" volumes! The first step is to submit your art work for the book for approval. JPG, PNG, 300dpi or more, no compression. 150 Mb max per file. Add at least 6-8 please. Minimum 4. Maximum 15. Uploading in progress. It might take a few minutes. Don't close this page. Please make sure the file is of a high enough resolution, 300DPI. Please upload an image that is at least 1200x1200 pixels The better the file, the better it will look in the printed book. Please keep uploading more artworks. 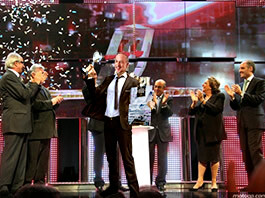 The jury needs at least 4 to start the qualification process. Ideally 6-8. Maximum 15. Not ready to upload yet? No problem! Book your spot in the book and upload the artwork later. Click here to proceed with booking. 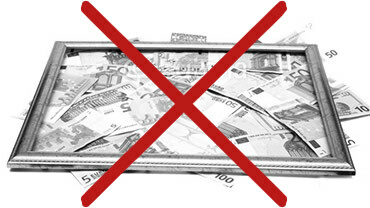 Dont worry, in case you are not approved you will receive full refund of your application fees. Full 60 day risk free money back guarantee. Why there is a fee to be featured in the book? Our business model is different from other art publishers. Our goal is not to make profits from the book sales, but instead to reach the MAXIMUM distribution possible to ensure the maximum exposure for our featured artists. 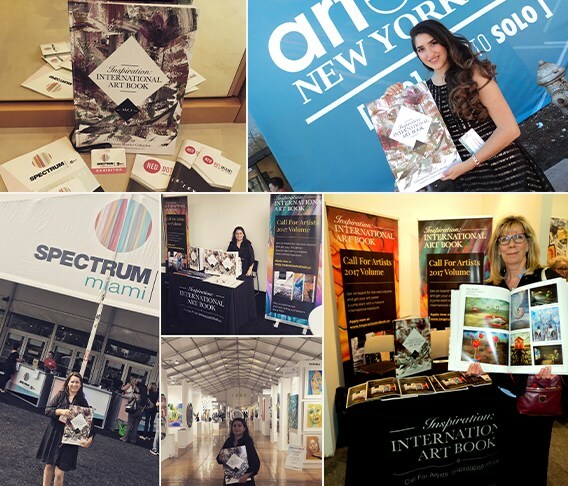 We supply our book to the world's leading galleries, fairs, private collectors and agencies to give you a kick start in your professional art career. We take the process of selecting artists very seriously. 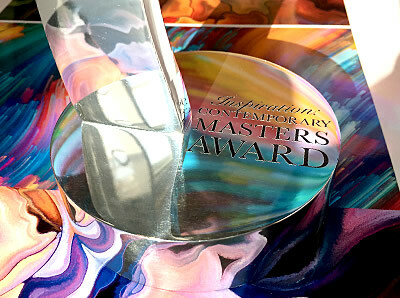 Every artist must pass serious jury qualifications to ensure only best of the best are featured in our book. Why don’t you accept artists for free? You get in for free then you have to pay for your copy of the book. Don't be naive! There is no free cheese, and if you got in for free then someone still needs to pay for the production of the book. Instead of distributing the book to collectors, buyers and galleries, the publisher will try to sell you YOUR OWN book after it prints it. This sounds like a vanity fair and it does not end up giving you any promotion or exposure for your artwork! The quality of the book suffers. Since the publisher gets no funds upfront, no serious investment can be made in the book production. Such free books usually look like a cheap journal at best. Our Inspiration Book is of a quality that costs a lot of money to print. You just can’t print a high-quality book for the price of a journal. The quality of artwork in the book suffers. When people get in for free, they don’t take the endeavour as seriously: that's just the reality of life. Free books end up with a lot of poor quality artwork. They’re not juried, and recognized artists are not keen to participate in such a cheap publication. That leaves you competing only with amateurs. The bottom line is: such "free" books are not distributed to the collectors and galleries, but post-sold to the artists themselves and their families. Instead of promoting your artwork, the ‘free’ publisher will be saying to you, “Why not buy 10 copies yourself?” They can’t distribute the book for free, because sending to hundreds and thousands of collectors and buyers has real costs – just think about shipping and handling charges! That’s why our business model is different from other art publishers. Our goal is not to make profits from the book sales, but instead to reach the MAXIMUM distribution possible to ensure the maximum exposure for our featured artists. 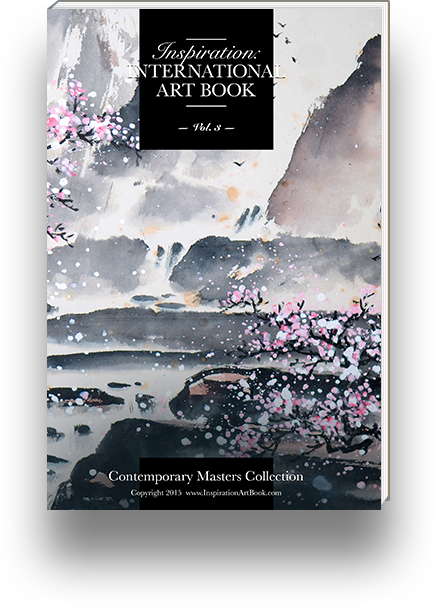 We supply our book to the world's leading galleries, fairs, private collectors and agencies to give you a kick start in your professional art career. We take the process of selecting artists very seriously. Every artist must pass serious jury qualifications to ensure only best of the best are featured in our book. Moreover, we won’t be selling your own book to you after publishing. Each artist gets their very own free copy of the Inspiration Art book! So to answer your question: you are not paying to be featured so much as investing in your art brand, paying for promotion, and getting maximum exposure for your artwork. However, if you are a beginner artist struggling to get started who wants to be in the book but can’t afford it, please contact us and explain your situation. We’ll do our best to find a great deal with a big discount for you! What are the benefits for me to be in the book? We accept only artists who plan to SELL their work internationally and make serious money with it. 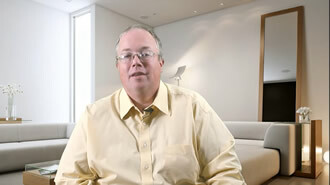 Adding a serious book in your portfolio raises your profile in the eyes of collectors and potential buyers. Over 3,500 artists can't be wrong. Having started as self-made artists without rich sponsors to back us, we know how hard it is for small artists to get their work out there. All those expensive galleries, art shows, shipping and travel costs make it almost impossible for a little talented artist to get the word out. Our book gets your artwork in front of the right people. 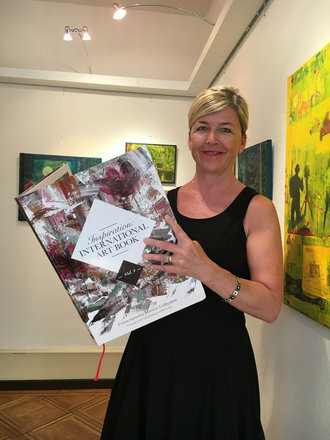 Being featured in our international art book is a professional and prestigious way to present yourself to art galleries, collectors, and agencies. The fact that you passed a serious panel selection alone rises you in the eyes of others when considering your work. Increase the commercial value of your work. It's obvious that the more exposure you have, the higher the value of your work. Being featured among other top artists raises your value significantly. 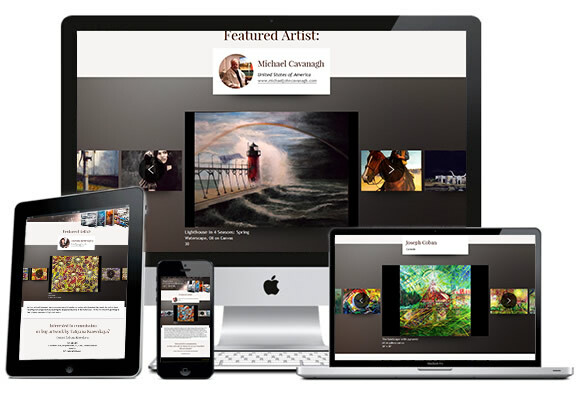 Moreover, it provides gallery owners and agencies an easier way to present and sell your work at a higher price. How much is it to get featured in the next volume? Can I pay extra to pass qualification? No, we take our decision process very seriously, and you can not pay extra to bypass it. You will be able to submit your artwork right after your purchase is complete. If your artwork is not yet ready to be submitted, no problem - just book your slot to avoid missing it and submit your artwork later. Submit your art work in digital format. Simply photograph your work in 300dpi or more and submit the photographs to the manager. No physical shipping is required. Remember, our mission is to help you SELL your art - so make sure each painting you submit is ready for sale and includes the name, description, dimensions, style, medium and most importantly, PRICE! Format: Send us 4-6 images of your artworks (JPEG in high resolution 300dpi: 17 cms or 6.6" at the longest side). What happens if I fail to pass the qualification judges? We will offer you two options: a) to submit your artwork for the next year volume book with top priority or b) we'll refund your application fee. Who are the judges and can I reach them? For obvious reasons, the judges' names are kept private and you cannot directly reach them. This protects against artists deliberately or accidentally influencing judges' decisions. How long does the judgment process take? Our judges meet once a week for consideration of all works submitted during the previous week. Will I get a personal copy of this book? Sure! In each package there is at least 1 free copy of the book included. We also include international shipping for you as a courtesy (except jump-start discounted package)! I know how frustrating it can be when other book publishers say, "Here is your free copy; just pay an extra $119 USD for shipping and handling!" We never do such things. When exactly the book is printed? 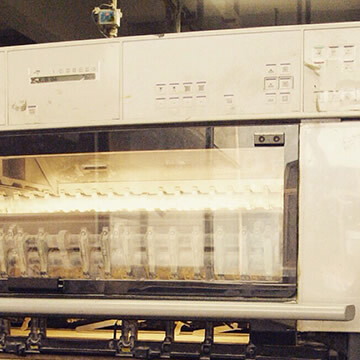 We don't give exact dates as it depends on many factors such as application process, approvals, printing delays and international shipping times. A lot of delays come from artists submitting their work late or in poor quality, so we have to wait for them to re-submit. Please bear with us and check our newsletter for the progress of the preparation of the next volume! Historically, we've released 1 volume per year in the first quarter of each year! What is the format of the book and the quality of print? 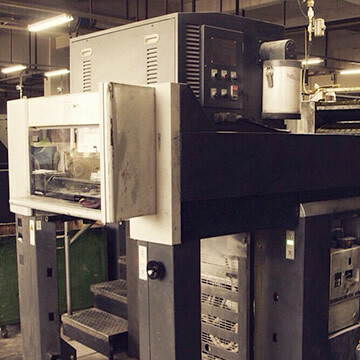 Our main mass print format of the book 288mm x 405mm (11.6 inches x 16.3 inches). We are using museum quality gloss print with a hard cover. The weight of the book is around 7 pounds per copy. (3 Kg) You can also see our book "in action" in the middle of the main salesvideo on top of our page. 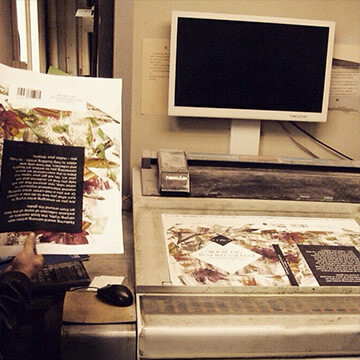 It shows artists opening the book and showcasing the pages quality. The Amazon and Blurb "print on demand" versions are little bit smaller, 8 x 10 inches. Where can I get your previous books? Yes. We include a full 60 day guarantee. If the judges rejected your application, you will be able to either apply for next year's submission without extra cost or get a full refund! Yes, after several requests we have added paypal support. Please choose your package type and send send the payment directly to official paypal support@inspirationartbook.com You can check the packages here then contact us to set your account up! I've been scammed before. Is this a scam too? We understand your concerns. We have been scammed before too; there are a lot of art groups out there with bad ethics, accepting money and not delivering on their promises. However, we have nothing to do with that sort of behaviour. 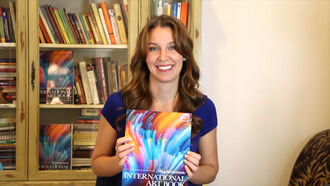 Our international book is well-known and has become an industry standard in quality. We also provide a full 60-day money back guarantee, backed by major credit card brands like Mastercard, Visa, Maestro, Discover, JCB and American Express. No scammer will offer such a guarantee. We accept major credit cards, which provides protection to you as a buyer - and obviously major credit cards providers don't do deals with scammers, which is why scams usually use shady methods of money transfer like Western union or electronic currencies. You can also call us any time you have questions! Our rates are also very reasonable, we don't charge you thousands per page like other books and vanity publishers, our goal is to help you sell your artwork instead of squeezing money from you on boosted costs. We'll be glad to hear from you and get you featured in our next book! 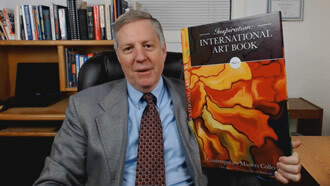 Will my art website and all my contact information be included on my page in the book? 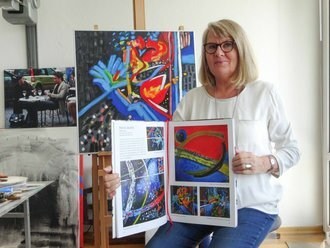 Yes of course your contacts and website will be included, the whole purpose of the book is to help you get massive international exposure for your artwork and get contacts to art buyers, collectors and galleries. Will you sell my work? Will I have to pay you commissions from sales? No, you don't have to pay us any commissions from sales. Your application fee covers all our expenses, so you will keep 100% of what you make from your sales. The purpose of the book is simply to promote your artwork. 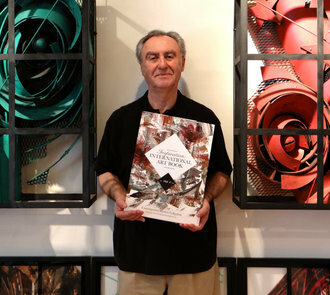 The book does not sell the art directly; instead it opens the doors for you to galleries and private collectors and sigificantly raises the value of your artwork. It gives you the exposure you need and provides the means for agencies and collectors reach you direcly to buy your works! It's a great way to jump start and boost your career to that of a professional artist. What styles do you accept? We accept art in various styles from contemporary artists including paintings, mixed media, prints, illustrations, photography, digital art, sculpture, and installations. Where will you distribute the books? Will I lose copyrights to my art works if I submit them for the book? Of course not! 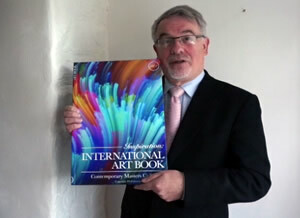 By participating in this book the artists allow "Inspiration Art Book" to publish and reproduce their images, but they maintain the copyrights of their artwork. You can review all our terms and conditions here. Can I order by Bitcoin? Sure. During the order process simply choose Bitcoin as a payment method on the checkout form. Can I order by Credit card or Paypal? We accept all Major credit cards: Visa and Mastercard. Unfortunately we don't accept paypal. All our orders are processed securely via clickbetter.com a leading payment processor from UK. Сan I order in installments? Can I get free featuring by promoting the book to my artists friends as an affiliate? Yes, if you know artists that could benefit from featuring in the book, help us spread the word, get amazing affiliate commissions and a chance to get your own free featuring if you make >3 sales. See all details on our affiliate page. You will find the banners, affiliate swipes and other things you might need. However please remember you can't refer yourself or your family members or abuse the promotions with spam etc. Can I order using International bank Wire option? Simply Click here and submit the bank wire form. Who will receive a free copy of the book? Artists that applied for the featuring in the next volume. Free Priority Delivery to USA and UK! Other Wordwide locations: Free book + $69 courier shipping and handling fee. For everybody else: retail price of the book is 95 usd. How do you mass print the book? Which Art Shows do you participate in?